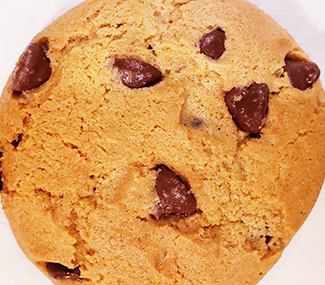 We’ve added a double shot of chocolate - delicious chocolate chunks and Hershey’s® milk chocolate Kisses - to a rich chocolate cookie dough. 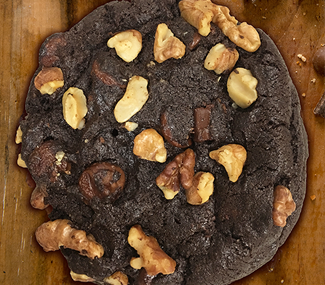 On your first bite, the complementary flavors of walnut, coffee and vanilla shine through making this decadent cookie a go-to choice for chocolate lovers. 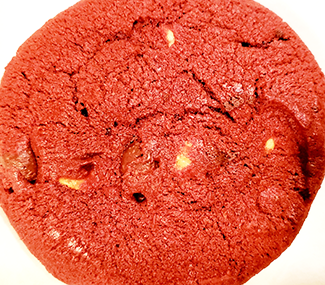 Rich red velvet cookies loaded with dark and white chocolate chips. Velvety delicious! 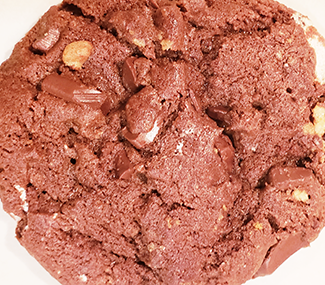 You can all but hear the crackle of the campfire with this delicious cookie made with graham cracker pieces, gooey marshmallows and of course, real Hershey’s chocolate! 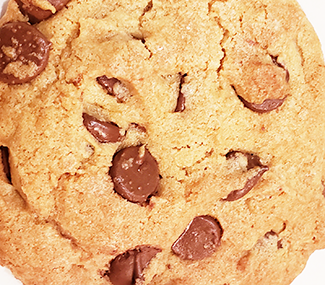 Delicious, the all-time cookie classic. Semi-sweet chocolate chips meticulously folded into rich cookie batter. Contains: Wheat, Eggs, Soybeans and Milk. A chocolate cookie dough base loaded with Reese's Pieces® candies for a peanut butter and chocolate delight. Mint chips swirled into a chocolate based dough. Made with a Dark Chocolate Base, then loaded with Chocolate Chunks and blended with Hershey's S'mores Bars, Mini Marshmallows, Caramel, and Graham Bits. 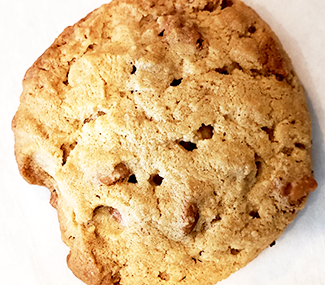 Chopped, crispy, crunchy Heath Bar candy hand-blended into our all-natural ingredient dough. 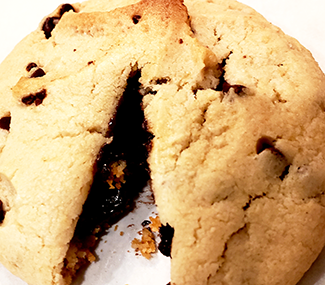 A delicious chocolate filling surrounded by a thin cookie layer. Contains: Wheat, Eggs, Milk and Soybean. 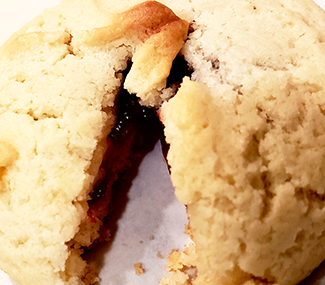 A delicious raspberry filling surrounded by a thin cookie layer. Contains: Wheat, Eggs, Milk and Soybean. A Large, Sweet and Spicy Cinnamon Smear In A Soft, Sweet Roll. 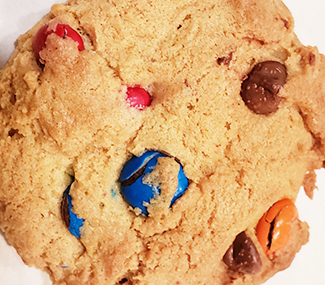 A very large, super-premium cookie covered and infused with real reese's peanut butter cups. Chocolate Chunk Cookie Dough generously topped with Hershey's Kisses, Semi Sweet Chunks and Milk Chocolate Chunks. 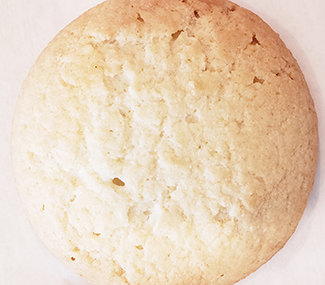 A 1.5oz clean, natural wholesome ingredient cookie that you can taste! GMO FREE, Hormone FREE, Cage Free Eggs, Sustainable grown ingredients. Single origin ingredients. FREE of artificial colors and flavors. 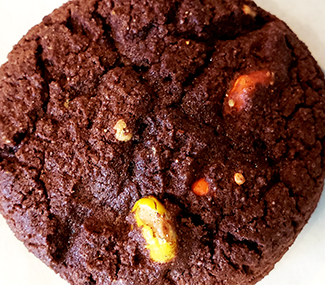 Loaded with sustainable chocolates; melted, morsel and cocoa, our Just Chocolate Cookie dough is made from all butter, pure cane sugar and cage free eggs then blended with sea salt and scattered with chocolate shards. 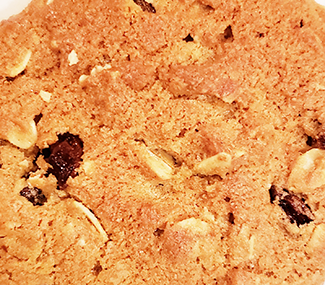 A 3oz clean, natural wholesome ingredient cookie that you can taste! GMO FREE, Hormone FREE, Cage Free Eggs, Sustainable grown ingredients. Single origin ingredients. FREE of artificial colors and flavors. 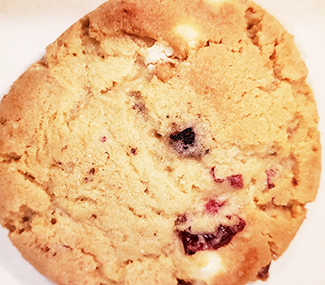 Our Lemon Blueberry Cookie dough starts with all butter, pure cane sugar and cage free eggs, buttery and lemony, it is plump with wild Maine blueberries for a refreshing rebirth of our quintessentially melt in your mouth sugar cookie. 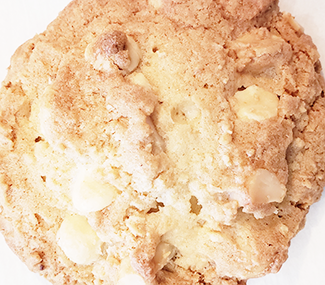 A 1.5oz clean, natural wholesome ingredient cookie that you can taste! GMO FREE, Hormone FREE, Cage Free Eggs, Sustainable grown ingredients. Single origin ingredients. FREE of artificial colors and flavors. 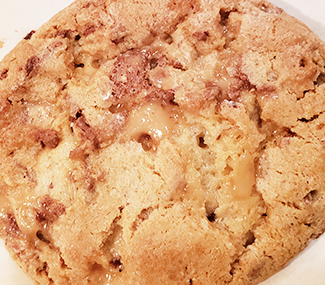 We've combined sweet and salty in this unique and addictive cookie. 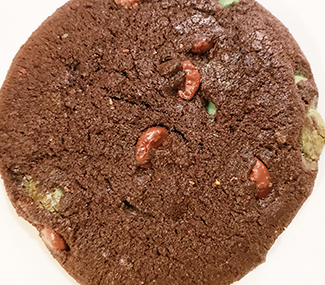 It starts with our all butter, pure cane sugar and cage free egg dough and is loaded with premium white sustainable chocolate, pretzel bites and toffee candy pieces. Topped with pretzel salt and golden demerara sugar. 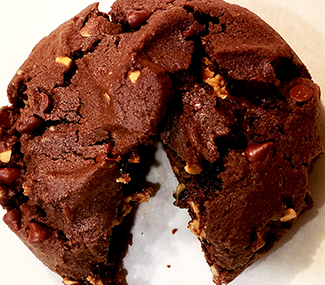 Certified Gluten-Free, Delicious Chocolate Chip Cookie. 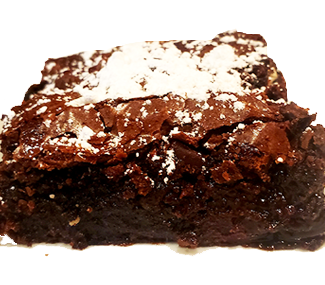 Baked in a separate oven, packaged in its own box. 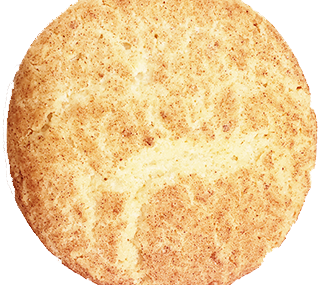 Certified Gluten-Free, Delicious Snickerdoodle Cookie. Baked in a separate oven, packaged in its own box. Made with only premium ingredients, these are the BEST vegan chocolate chip cookies!